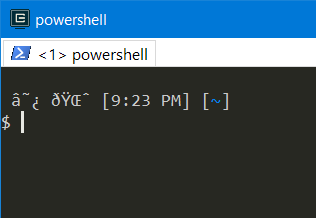 Powershell supports Unicode in a custom prompt, but if it’s coming out garbled, then you probably forgot to save your profile.ps1 as UTF-8 WITH BOM. 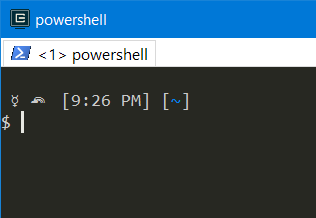 This entry was posted in powershell, unicode, windows stuff on May 18, 2016 by Factor Mystic. Garbled symbols in my customized prompt has been driving me nuts! I’ve been using a boring symbol like ‘>’ for the longest time. Question though, how do I save my profile ps1 file with BOM? Nevermind. Figured out how to do it with Notepad++ in the Encoding menu. Thanks! Yep, your editor has to know how to do that. You got it.